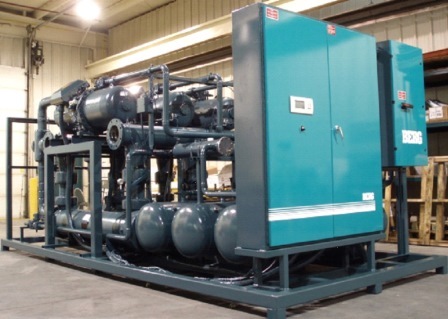 Remote Air Cooled Chillers | Berg Chilling Systems Inc.
Air cooled remote chillers are are used when the air inside a plant is either corrosive, extremely dusty, hot, where supplemental heating is of no benefit, or where the plant is air conditioned. 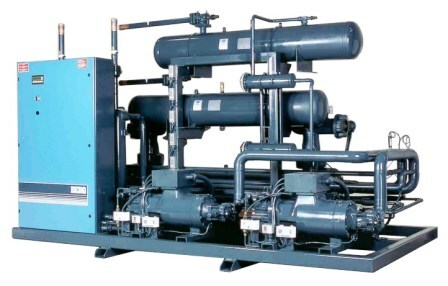 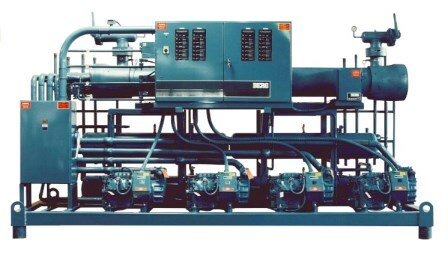 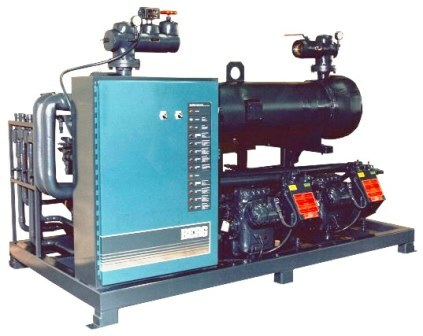 Remote air cooled industrial process chillers consist of an inside chiller unit and an air cooled condenser for remote mounting. 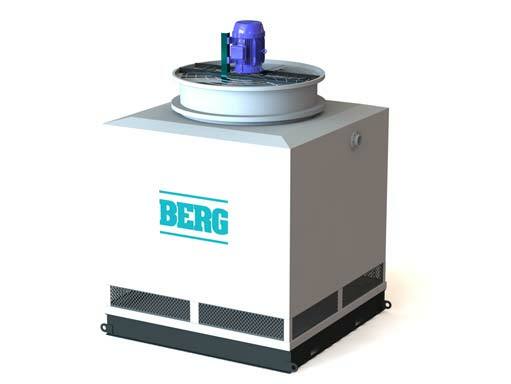 Berg’s rugged industrial process chillers are manufactured and factory tested under load conditions to ensure they stand the test of time. 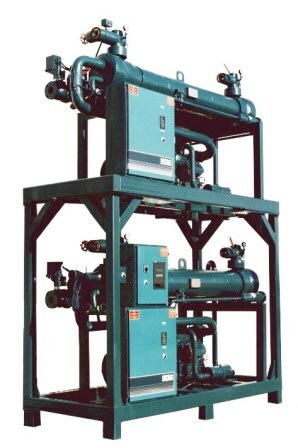 Our custom engineered industrial chilling solutions for your unique application are developed for quiet operation, high efficiency and maximum return on investment. 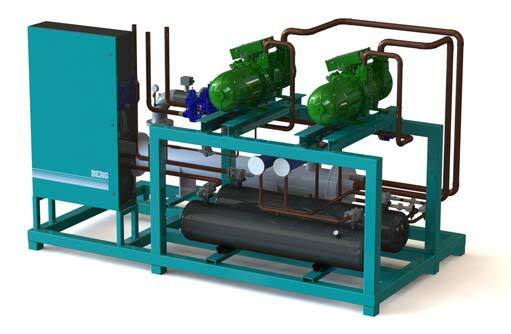 At Berg Chilling Systems Inc, we are proud of our air cooled industrial refrigeration units, and our engineering and design difference. 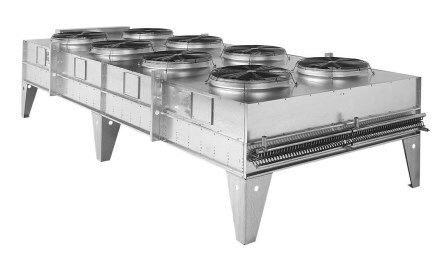 Mouse over circles on product to reveal key remote air cooled chiller features.